Things to do in Abu Dhabi for FREE! As much as this Emirate is the largest in terms of area in the country, it’s fair to say that the things to do in the capital city of the UAE are seamless. Although Dubai is more popularly known for the wonderful sights in the country, Abu Dhabi is also home to an array of renowned destinations. From the exhilarating Ferrari World and the majestic Sheikh Zayed Mosque to the newly developing Saadiyat Island with all its wonders and the recently opened Warner Bros. World, there is certainly no shortage for things to do in Abu Dhabi, with a slew of new attractions still upcoming. However, a lot of the times your wallet may not be happy with your explorer instinct. But not to worry, there are a plethora of amazing things to do here that is also wallet-friendly. Not everything needs you to spend money. After all, don’t they say that “the best things in life are free”? So today, we’ve compiled for you a list of some of the exciting free things to do in Abu Dhabi. The Heritage Village is literally a walk down the memory lane. Showcasing the Bedouin lifestyle, Heritage Village is a recreation of an Emirati village and is one of the best cultural and heritage attractions in the city and a visit down here is the first in our list of things to do for free in Abu Dhabi. Literally a walk down the memory lane, you can see an array of precious assets from the old era such as palm leaf houses, Bedouin tents with campfires brewing the famous Arabian tea and stone huts. You can also see some of the things used in the olden times such as swords, souvenirs, pots, potteries and so on. There are also camels, goats and Arabian horses on display that would make an exciting sight, especially for your kids. You can watch a range of artisan exhibits that showcase some of the local arts like weaving or glass blowing. If you are lucky you would also get to watch falconry demonstrations that take place often. Although we are talking about free things to do in Abu Dhabi, if you fancy shopping for some authentic traditional items, Heritage Village has a traditional souk that offers items such as handmade soap, traditional clothing and silver jewellery. Some stalls also provide henna. Another awesome spot to not miss is the museum at the Heritage Village showcasing several photos from the Emirate’s pearl diving history onwards that have amazingly grown into the flourishing city of today in a stunningly short period of time. Another great highlight of the Heritage Village is the sight of a functioning falaj irrigation system. 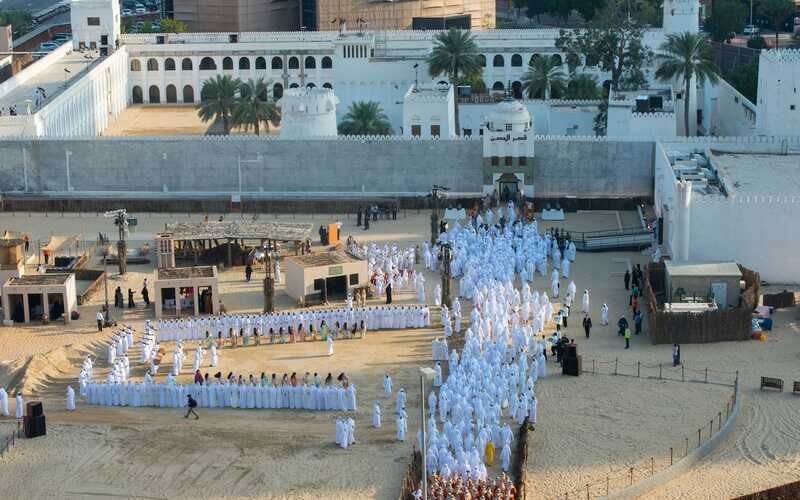 The annual Qasr Al Hosn Festival. This is a place that is a must-visit when you are in Abu Dhabi which, moreover, wouldn’t cost you anything either. A beginning that dates back to the 18th century, the oldest stone building Qasr Al Hosn is the next spot in our list of free visiting places in Abu Dhabi. It was originally built as a coral and sea stone watchtower by the Bani Yas tribe for the purpose of commanding coastal trade routes and to protect the settlements. An ingenious aspect of the structure of Qasr Al Hosn is the traditional ‘Barjeel’ ventilating system which is an effective form of air conditioning used in the earlier days. The age of this fort and its importance to Abu Dhabi’s history makes it a prime place to visit. Now Qasr Al Hosn is under a master plan project for the conservation of the Fort and the development of the site in order to transform its surrounding areas into a tourism and cultural destination. The redeveloped Qasr Al Hosn is set to welcome its first visitors by the end of this year. The intricate designs of the Sheikh Zayed Mosque will leave you in awe. Very likely the first place most people would point out when you think about attractions in Abu Dhabi, the magnificent Sheikh Zayed Grand Mosque most definitely cannot be left out from any list of places to visit in Abu Dhabi. One of the world’s largest mosques with the capacity to hold an astonishing number of 40,000 worshippers, Sheikh Zayed Grand Mosque is a pure work of art. If you haven’t been here yet then you have got to at least once. 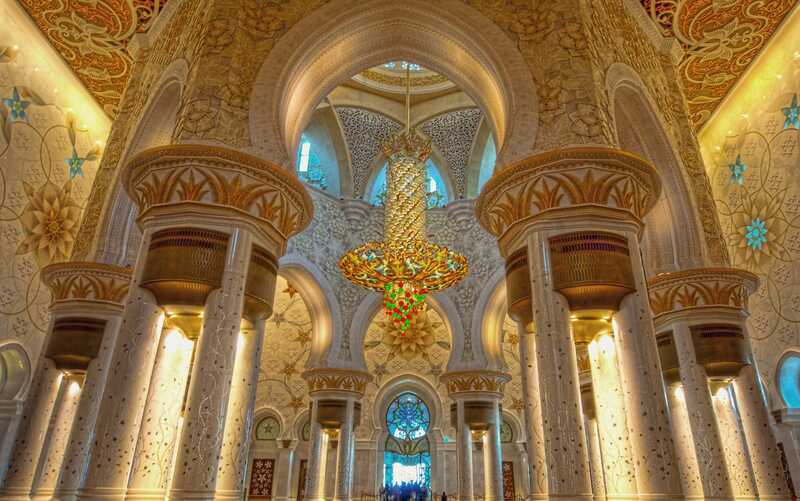 Featuring 82 domes, 24-carat gold gilded chandeliers, over a 1000 columns and the world’s largest hand-knotted carpet, there is just so many wonders in Sheikh Zayed Grand Mosque that is bound to leave you in awe, and the beautifully landscaped surroundings call for a day well spent in a calm and peaceful splendour; making it one of the undoubtedly best free things to do in Abu Dhabi. Bash dunes at the Empty Quarter. If you didn’t know about this place it’s time you did; so aptly called as the Rub Al Khali which translates to ‘the Empty Quarter’, this magnificence bound in mysteries is the world’s largest uninterrupted sand desert. One of the best places out there that can pull out the daring and adventurous streaks in you, get out into this vast sea of sand for an exceptionally thrilling off-road driving that you could finish off with a wonderful camping night under the stars. 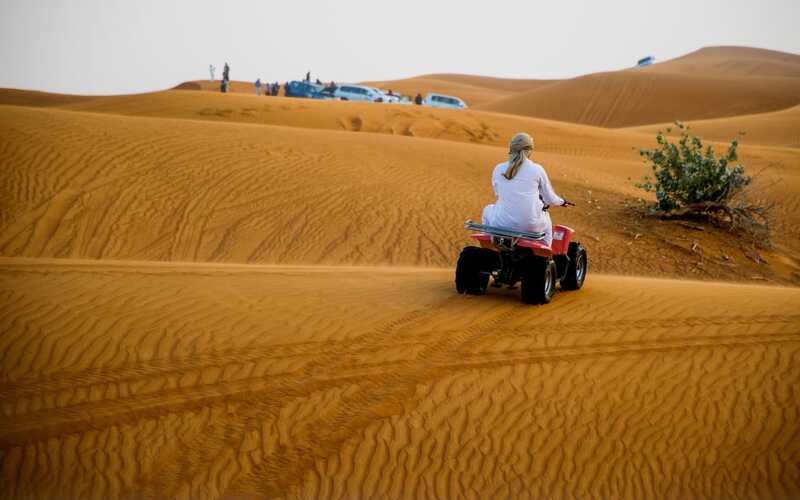 This is probably one of the most unique options in the free things to do in Abu Dhabi that can, quite literally, take you through an adventure of the Arabian Nights by bashing dunes, just not on a magic carpet. 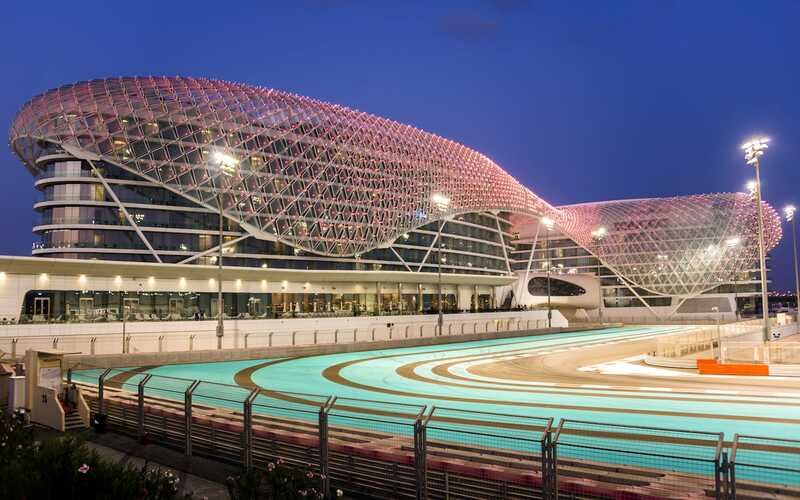 The fantastic Yas Marina Circuit gives way to the tracks three nights a week for free. How about an evening of being active in the city’s very own Yas Marina Circuit where you can have a dose of the Formula 1 experience? That is exactly next in our list of free things to do in Abu Dhabi. With no need for an expensive gym membership, you can find hundreds of people that train here several nights. You can run around or cycle around on the expansive tracks of one of the world’s best-known motorsport circuits and it is absolutely free. They offer three nights for enjoying these free activities in Abu Dhabi – the awesome StratYAS which is on Sunday nights from 6 pm, the TrainYAS which is on Tuesday nights from 6 pm and the fantastic GoYAS which is only for ladies on Wednesday nights from 6 pm. Really, how does free fitness sessions at such a prime location CANNOT sound exciting?! Al Wathba Track weaves through small sand dunes. Next on our list of free things to do in Abu Dhabi is another track day of cycling. 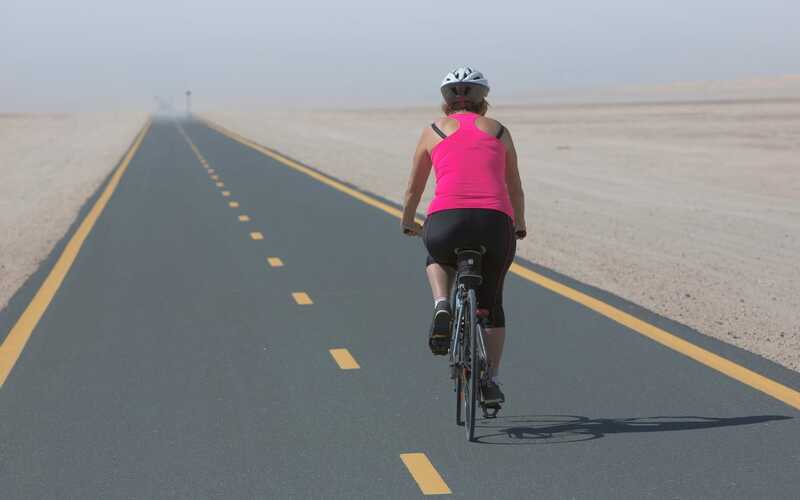 The city’s best cycling area, Al Wathba Track is a public road open 24/7 for a splendid cycling destination. For an even more mesmerising experience, you could choose to go cycling during the time of dawn or dusk as the track is weaved through small sand dunes that create a scenic wonder during those times. Fitted with solar-powered lights, you would have no trouble riding through the course at night. There is also an ADNOC Oasis store where you can stop for refreshments. So pack-up your bicycle and drive down to Al Wathba Track, it is located just of the E22 Abu Dhabi-Al Ain Road and makes an awesome option in the things to do in Abu Dhabi for free. This one is for the lovers of classics and the black and whites. 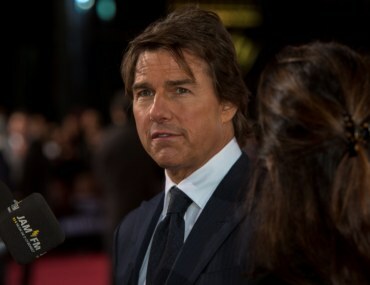 When we said things to do for free in Abu Dhabi, you probably wouldn’t have expected to land on a free cinema. But you heard that right! 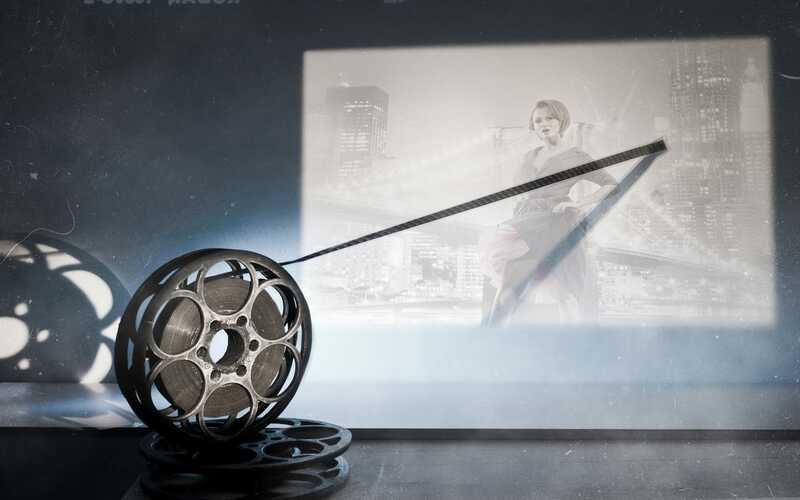 For the lovers of the classics and the black and whites, or even if you aren’t particularly fond of that idea, check out the Cinema Space at Manarat Al Saadiyat in the Saadiyat Island. They do free community screenings of the beautifully restored classics and contemporary world cinemas. Due to limited seats, you will have to book early on to attend a show which is surely one of the best free events in Abu Dhabi. The Emirates Palace displays an elegant blend of the Arabian essence with modern luxuries. 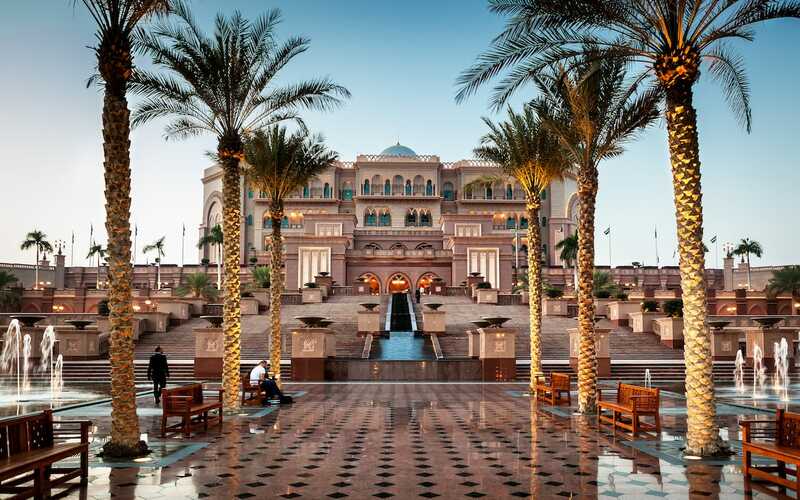 An iconic landmark of Abu Dhabi, the Emirates Palace is a beautiful hotel that perfectly blends modern luxuries with a magical Arabian essence. Wandering through the majestic halls and corridors of the Emirates Palace is another one of the free things to do in Abu Dhabi. Witness a showcase of the Arabian design with arched ceilings and grand central passageways. You can also catch the majestic sunset that overlooks the beach of this extravagant opulence. This can also be on the list of things to do in Abu Dhabi at night – you can stroll through the ignited palace for an actual magical experience especially in a pleasant weather. The Corniche is a perfect spot to spend a relaxing day. 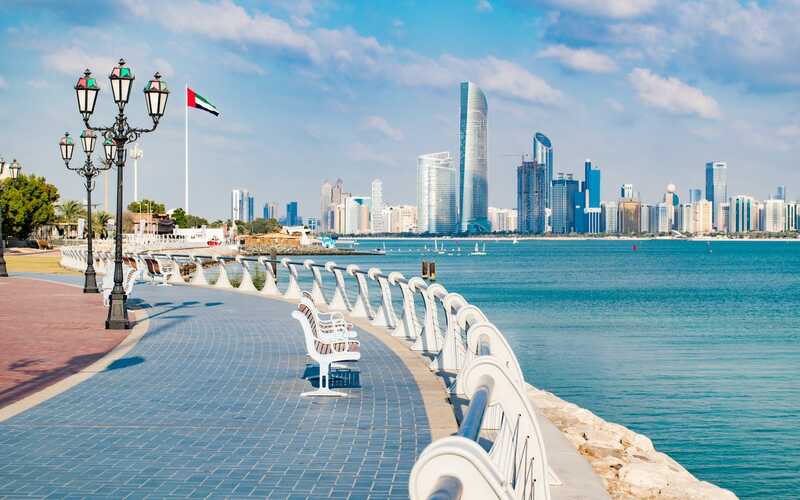 Probably the simplest of free things to do in Abu Dhabi today would be to get down to the Corniche. You can stroll down along the promenade by cycling or just by walking, or you can take out a book and sit at one of the benches and relax with the calming waters to overlook or spend a reflective time people watching. The Corniche also makes another great spot to watch the scenic magnificence of the sunset or a relaxing day of de-stressing. 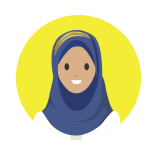 There is our list of things to do in Abu Dhabi for free! There are surely many more things that you can do for free in this Emirate but these are our top picks. Let us know in the comments below which one caught your attention the most or if we missed out on something that you love. While you are at it, check out these free things to do in Dubai for a change. An avid reader with a penchant for writing and poetry, HA loves the intricacies of design, vintage styles, kitschy polaroids and the sanguine infinity of the night sky. If not with a journal or a sketchbook, you’d find her wandering with a camera, capturing everything that catches her attention.